Our firm offers a complete range of accounting services including receivables, payables and payroll management. We prepare financial statements in accordance with professional accounting standards. Our firm will also prepare custom financial reports for internal, managerial use. Our firm offers a full range of tax planning and compliance services. 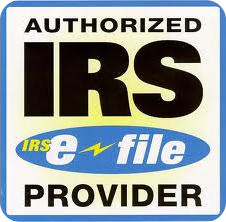 Our firm offers professional preparation of all federal, state and local tax returns at competitive, affordable rates. Electronic filing is available at “NO CHARGE”. Our firm continuously monitors federal, state and local tax law changes to allow clients to minimize current and future tax liabilities. If necessary, we can implement tailor-made, due-date tax compliance monitoring systems to prevent costly interest and penalty assessments attributable to late filing. Our firm provides complete financial and business forecasting services, including pro forma projections. We will also customize “what if” planning scenarios to help management foresee and plan for unexpected business contingencies. Our firm knows the tax laws, and we know how your tax return was prepared. We can provide complete representation services before the IRS or state and local taxing authorities. Our firm offers complete payroll preparation and payroll tax reporting services. We prepare all required federal and state forms. Our firm offers cash flow and budgeting analysis that can help you minimize cost overruns, lost purchase discounts and uncollectable receivables. Many of our clients state that these value-added services are indispensable. Our firm prepares professional, compilation and review financial statements and provides tailor-made financial analysis that can help business owners and managers eliminate inefficiency and realize the full profit potential of a business. Our company offers a wide range of consulting services to help you improve business operations, boost efficiency and increase the bottom line.